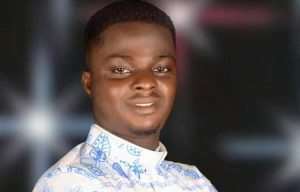 The Government of Ghana has promised to help return the body of the late Ghanaian missionary who was gruesomely killed in Cameroon . This follows complaints by the family of the 28-year old missionary to the effect that the government had ignored their calls for help. The deceased, Apostle Isaac Attoh, who is survived by a young widow and a two-month old baby boy was shot dead in the troubled town of Batibo in Cameroon. The deceased was dressed with his clerical when he was killed. Observers have condemned the death of the pastor, but the church in Cameroon is yet to make an official intervention. Unconfirmed reports say Attoh was killed alongside two other Ghanaians who are yet to be identified. Efforts by some stranded Ghanaian pastors and friends in Cameroon to retrieve the body of the deceased had proven futile, as the military was unwilling to release the body to anyone. The late Isaac Attoh, the third of four siblings is survived by his wife and a 2-month-old baby boy. His family had earlier urged the Ghanaian government and the International community to intervene and get his remains ferried to Ghana for burial. It is unclear why the pastor will be shot, but there is currently a fast-escalating chaos in Cameroon after some activists began peaceful protests to request that English language be used in the courtrooms and public schools of the country’s two anglophone regions including Bamenda. Dozens of people have so far died, with hundreds imprisoned, and thousands escaping across the border to Nigeria as a result of the situation. If the situation is not defused through dialogue, the entire country could be destabilised ahead of elections in the autumn, according to the International Crisis Group.